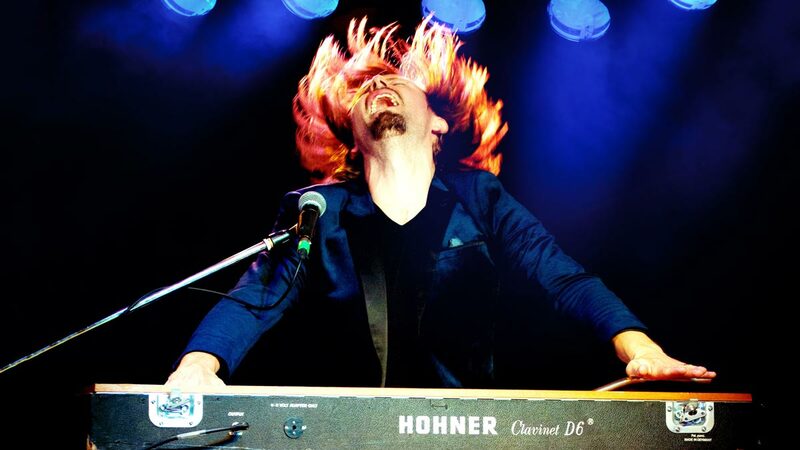 Dubbed the Jimi Hendrix of the Hammond Organ, Lachy Doley is the most celebrated Blues Soul Rock Organ Player in the world today. A player who can pump, pamper and occasionally pound the most unbelievable sounds from a keyboard: sounds that are intense, ferocious and sometimes transcendent. Recently going viral on Facebook with videos clocking up millions of views. His version of the Bill Wither’s classic ‘Use Me’ is now sitting at 1.7 million Facebook views. Lachy Doley has seen much of the world, recording and touring with acts as diverse as Powderfinger, Glenn Hughes, Steve Vai, Jimmy Barnes, The Beautiful Girls – more recently recording on a new album of Joe Bonamassa’s which came out in early 2015. It was 2010 though, that saw the birth of The Lachy Doley Group and they have been heavily recording and touring ever since. The group’s latest album ‘Lovelight’ (Januray 2017) is on track to surpass their previous album by debuting at #40 on the Australian National Charts the ARIAS, reaching #3 on the UK Blues Broadcasters Charts, #1 on the Australian iTunes Blues Charts and #1 on the Australian Blues & Roots Airplay Charts. The Lachy Doley Group are a unique and refreshing sound in Blues today. A power trio consisting of Bass, Drums, Doley on the Hammond and the incredibly rare 70 stringed Hohner D6 Whammy Clavinet. All the while Lachy’s vocal screams with pain and passion like a direct extension to his heart. The Lachy Doley Group have played over 200 shows and festivals around the world since the first release in 2011 including Queenscliff Music Festival (Australia), Culemborg Blues Festival (Netherlands), Memphis Blues Festival (United States), Woodford Folk Festival (Australia), Caloundra Music Festival (Australia), Mitchell Creek Rock & Blues Festival (Australia) and have been the stand out hit at the Gold Coast’s Blues On Broadbeach Festival over the last five years. 2017 is set to be a big year for the group with upcoming festivals including: Bospop (Netherlands) • Blues on Broadbeach (Australia) • Great British Rhythm and Blues Festival (United Kingdom) • Bejar Blues Festival (Spain) • Wine and Blues Festival (Portugal) • Juke Joint Festival (Italy) • Castel Lagopesole (Italy) • Augustibluus (Estonia) • Atri Blues Festival (Italy) • Festival De Blues De Donnacona (Canada) … and more.